Want to Buy the Poker Tracker Guide? 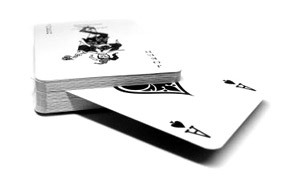 There are two ways to buy the Poker Tracker Guide E-book. The book is in PDF format, and can be printed for offline reading. To view the book, Adobe Acrobat Reader is necessary (free to download here). The price of the Poker Tracker Guide is $20. If your hard drive crashes or you reformat your drive and lose your copy, we'll provide a replacement free of charge. Currently we can only accept payment via Paypal to purchase the guide using the link below. When your payment is received, a copy of the Poker Tracker Guide will be emailed to the email address associated with the account you use to purchase the guide. The size of the guide is 3 Megabytes, so please make sure that your email account has at least 3 Megabytes available. If you haven't received an access code within 24 hours, please contact support@pokertrackerguide.com. If you wish to pay by credit card or with your PayPal account, click on the logo to the left for purchasing information. Shortly after you have completed your purchase, your access code and instructions on opening the book will be emailed to the address registered with your PayPal account. Please direct all inquiries about the ordering process to support@pokertrackerguide.com.